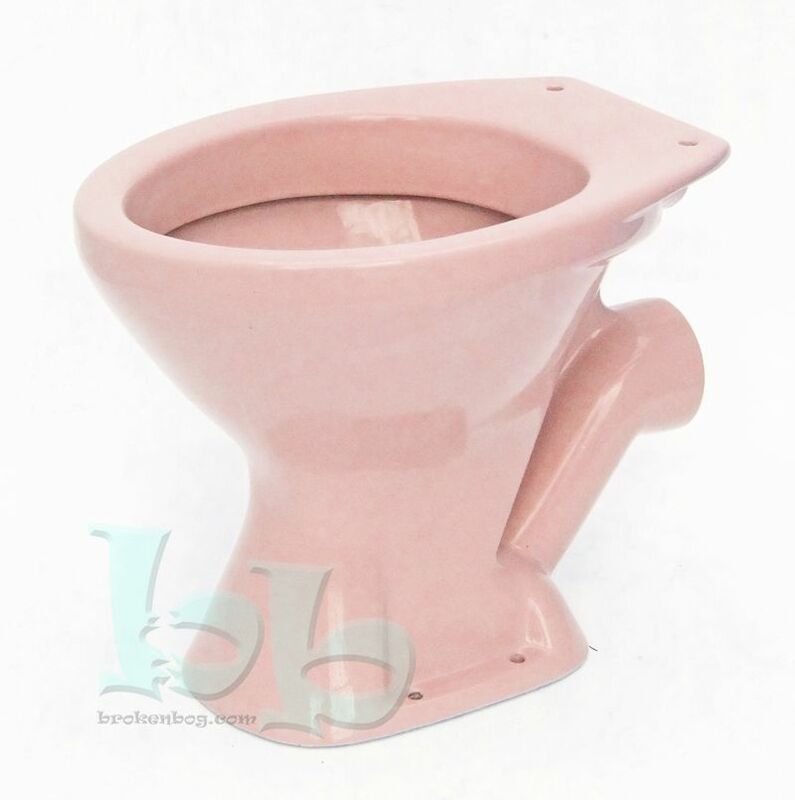 Low level WC pan suitable for use with a low-level cistern and flushpipe with horizontal waste outlet in Coral Pink colour. Compatible with most standard UK low-level cisterns (with a flushpipe connection between the pan and cistern), but do please contact us to confirm suitability for your installation. Glazed vitreous china, conforms to current 6-litre UK regulations. Makes an excellent replacement for many makes and models of toilet pan from manufacturers such as Armitage Shanks, Doulton/Allia, Ideal Standard, Shires, Trent, Twyfords, etc in the Coral Pink colour popular during the 60s through to the 90s.